Here at Blue Stripe Creative we offer custom digital marketing strategies. We work closely with our clients to ensure the best results. Take a minute to see how a digital marketing strategy can work for your business. When Jim Byron from Patterson Auto Body called us to set up a meeting about digital marketing, we were honored. Patterson Auto Body has been a major cornerstone business in our community for over 30 years. Jim knows the importance of marketing. He started running television ads back in the 1980s and continues to do so today. Jim also knows the attention of the consumer is shifting from television, print & radio to mobile devices and social media networks. He asked us to create a strategy for Patterson Auto Body that would give them a digital presence. We started by taking inventory of all the digital assets Patterson Auto Body had online. This included their website, social media platforms, and review sites. The first order of business was a complete responsive redesign of the website that looks great on any device it is viewed on. We then turned to social media and created profiles on platforms such as Facebook and Instagram. Our overall strategy is focused on creative campaigns and content that gets consumers to engage with the business. Social media marketing is the best value for your advertising dollars. Targeted marketing helps us reach the consumers we want efficiently. Frequent “planning and strategy” meetings with staff members at Patterson Auto Body take place to ensure the marketing goals are set. We generate content such as pictures, videos and articles for the marketing efforts. The only promise in marketing these day is that things will change. We develop unique strategies to keep up with the ever changing digital marketing landscape. In today’s complex world, the consumer’s path to purchase can be different for each person. 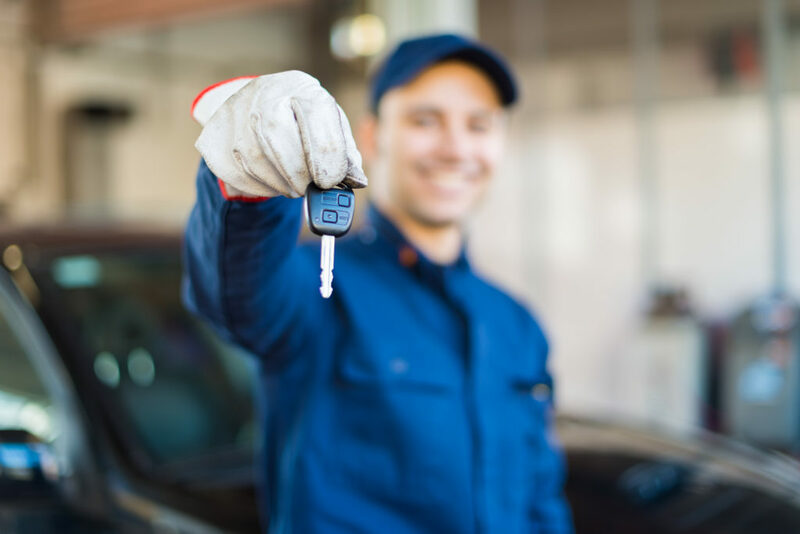 We make sure that Patterson Auto Body is visible to the customer when they are in need of their products and services. Patterson Auto Body saw an immediate increase in engagement with the consumers. Greater local brand awareness was created through their digital presence. Use of social media platforms opened the door for brand ambassadors to share the experiences they have with the business online for all to see. The marketing efforts ultimately lead to more sales. Jim and his staff know they can rely on us to manage their digital presence so they can focus on maintaining their customer’s vehicles.